or.... How My Scissors Chose Me! My 8" Gingher Shears from my Mother-in-love! 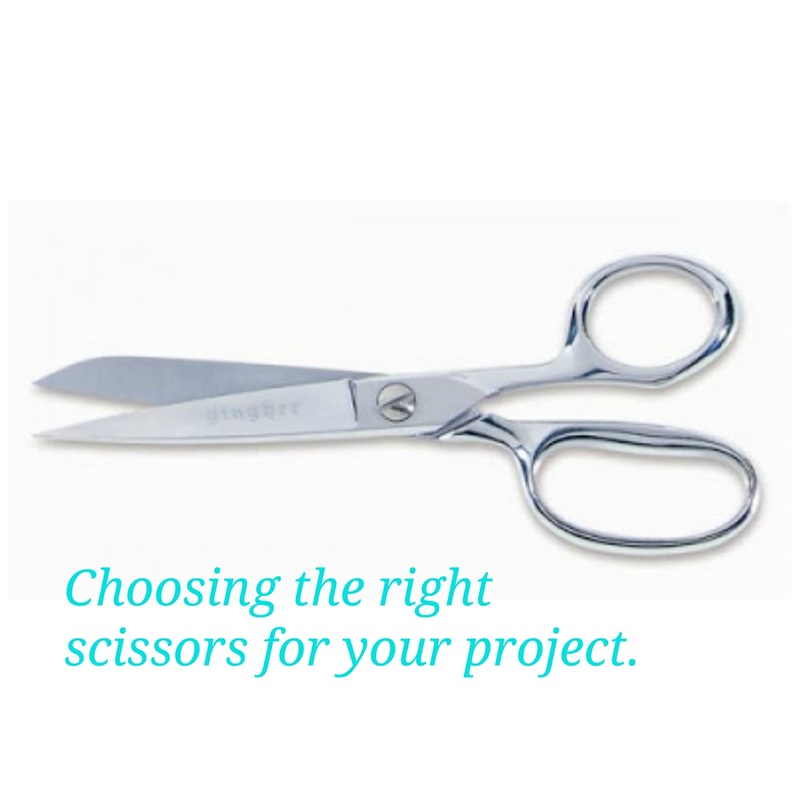 If you sew or paper craft, you know how important your scissors are! Given enough time, you grow a relationship with them and they have many stories to tell! 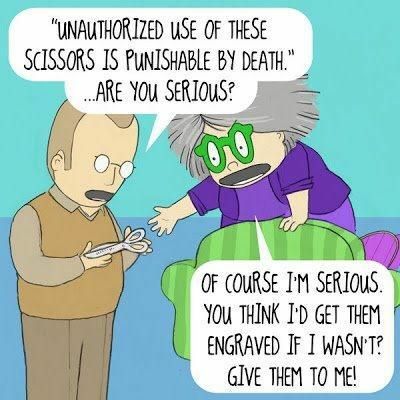 Scissors are like shoes...you can never have enough! 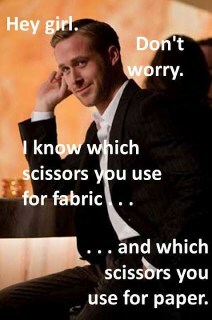 You cannot sew without them. Good ones are expensive, but they last forever. They WILL get lost in the couch cushions......many times. 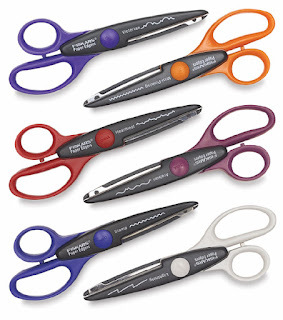 At some point you will probably label your good scissors with "Do Not Touch." 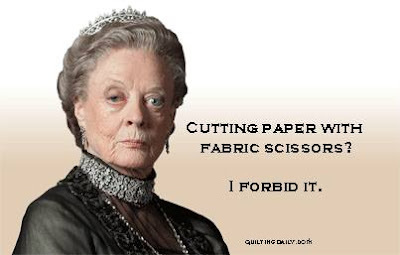 If you paper craft, you know what I mean about scissors, too, but in a different way. Your scissors may not get lost in the couch cushions, but you will find them all over the house. They may not be as expensive as sewing shears, but you make up for it in quantity. You probably have a drawer full of wavy, lacy, curvy shaped blades.....but you need more. Finding a scissors that you love may take some trial and error, especially if you are left handed, which I can't help you with. 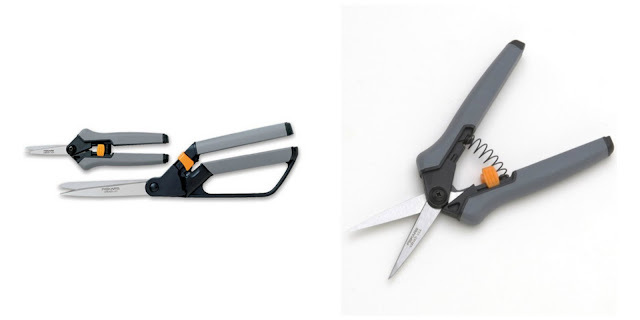 There are different types of blades designed for different tasks. I learned this from my sweet mother-in-law, Dodie. 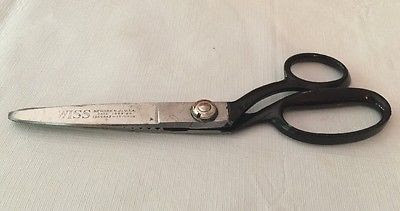 She was a WONDERFUL seamstress and gave me some fabulous Gingher shears over 25 years ago for Christmas. She wanted me to know the joy she had of a great pair of scissors. They are pricey but I'm still using them today! I use the 8" shears for almost all of my fabric cutting. I have a "fabric only" pair and a "fabric with fusible web on it" pair (GASP!). My pinking shears don't get used very often, but they are PERFECT for trimming seams on fabric that unravel easily. The 4" and the 5" are interchangeable...whichever one I can find at the time! But mostly I use the 5" for snipping into seam allowances & cutting tiny appliques. 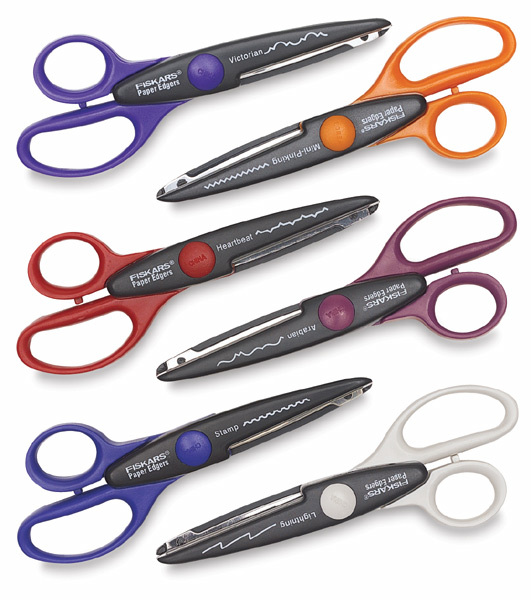 The 4" is used mostly for cutting threads and floss. My Gingher shears which have a standard shaped grip with no cushion, I love them, but if I'm going to be cutting a TON of fabric in a day, and I can't use my rotary cutter & mat, I use my Fiskars Soft Touch spring loaded shears. I was really lucky many years ago at Quilt Market when my booth was next to the Fiskars booth. They gave me a TON of free scissors to try when they were packing up at the end of the show! SCORE! Otherwise I may not have ever discovered these. They take the pressure off my hand "grip" and wrist which would otherwise get really sore. The smaller ones are great for snipping into seams and small places. They take some getting used to, but I still love them. Most of the time, I use my rotary cutter since the woolfelt pieces in my kits and patterns are straight cuts. But I love having them as back-ups. I also have a few of these little orange handled snippers! 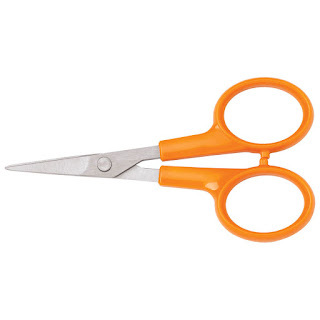 Fiskars Detail Scissors 4" or 5"
I keep them all over the house and in my project tote bag that goes with me everywhere so I can work on my embroidery--soccer games, boring meetings, waiting rooms. 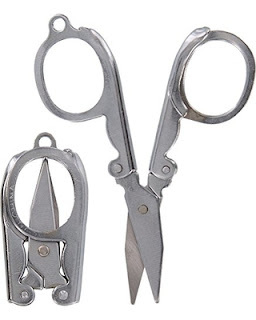 I'm sure there are some of these scissors buried deep inside couches I've owned over the years and probably in the mom-van, too. I'll be honest. 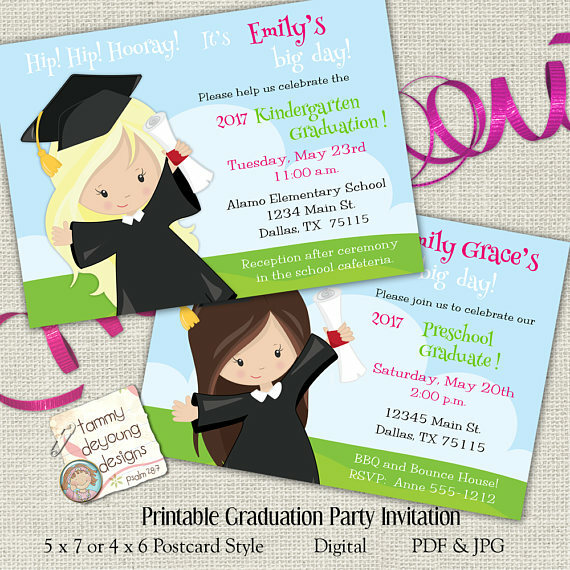 For BASIC paper crafts and scrapbooking I use whatever scissors my kids brought home at the end of school year. 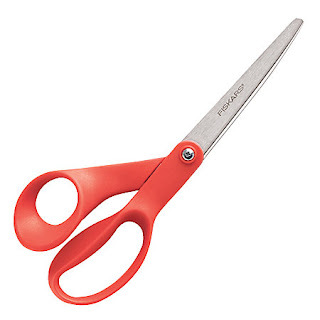 They always had "big" scissors on their school supply lists and they come back almost brand new. Stolen from the kids' school supplies. However, I DO highly recommend my Cutter Bees for detail work. 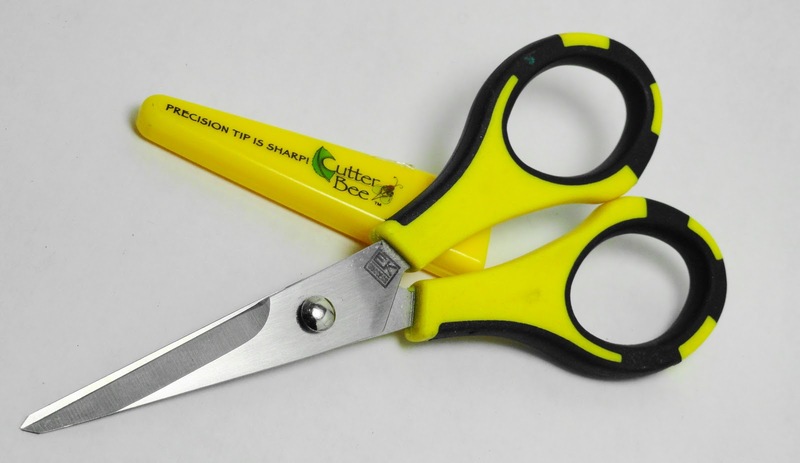 The razor sharp, super pointed tip is PERFECT for precision paper "snipping!" I also have a drawer full of super fun decorative scissors and if I could figure out a way to cut fabric with them, I would! I mostly use them when I'm making handmade greeting cards. My kids loved them for school projects and posters, too. Later, when I first started my design business, we made rag dolls, ornaments, wreaths, wall hangings, bunnies, lambs--you name it. 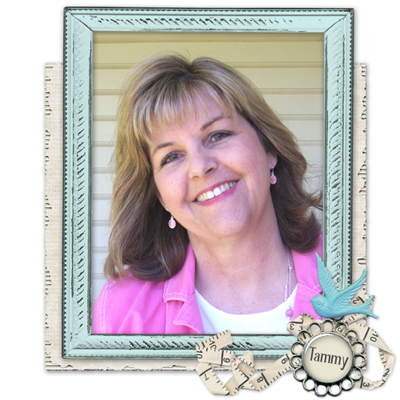 We did home shows and trade shows and all kinds of craft fairs. And we used brown paper hang tags cut with these pinking shears, stamped with our logo and a little gold safety pin. It wasn't long until we had to switch to ready-made tags to save time....but I always carried the "pinkers" and some extra paper with me just in case I needed a tag. The stories they could tell about the adventures they've been a part of! 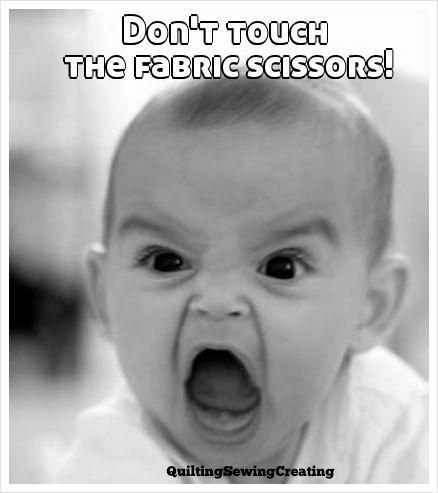 Scissors can have a magic touch, you know--and for me, that's the touch of two very special mom's in my life! 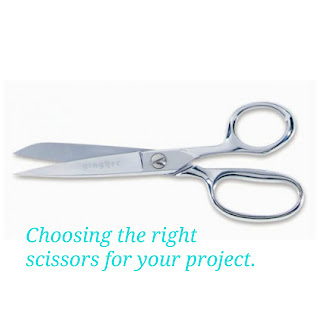 Do your scissors have a story to tell? Share in the comments below! I'd love to hear!